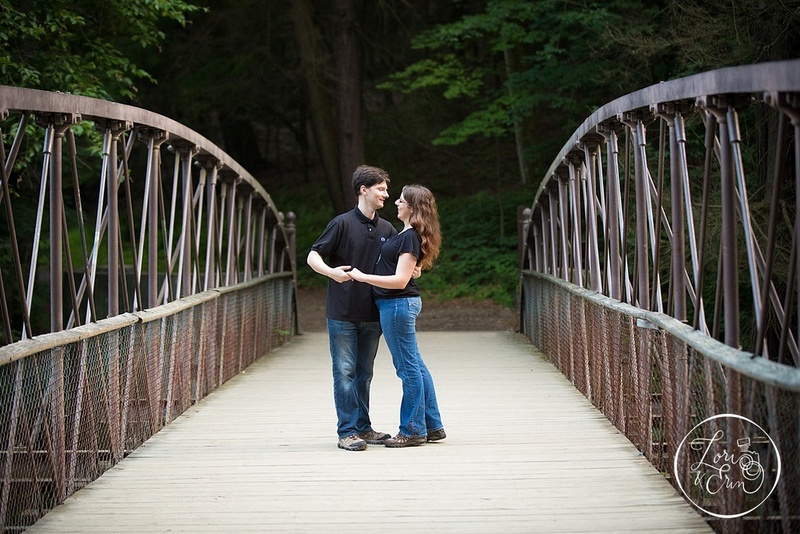 We traveled down the thruway for a beautiful evening with Melissa and Brian. It was warm, and a little buggy but a fun night! 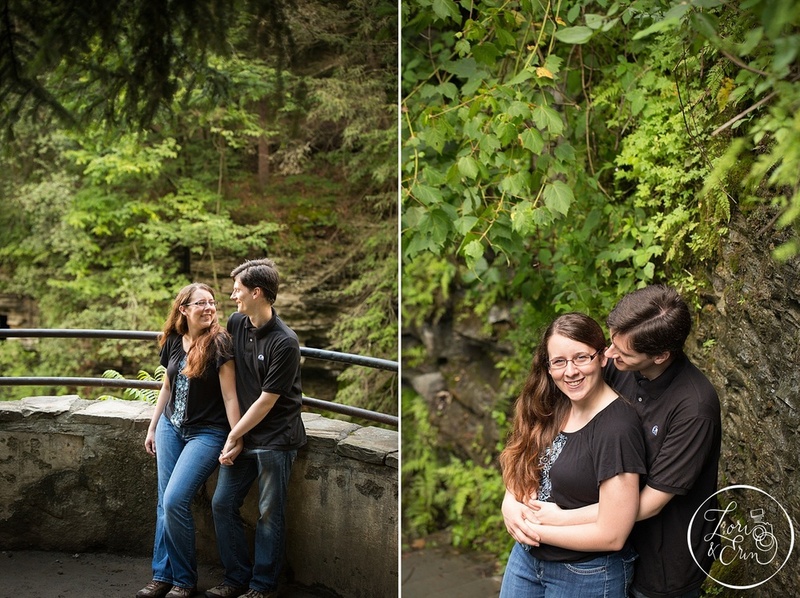 Brian brought Melissa here for their first hike together, so it was the perfect place for their engagement session. We hiked down into the gorge, walked behind a waterfall and took in the beautiful scenery around us. Brian is a bit of an avid hiker, having climbed some of the peaks of the Adirondack Mountains, so this was probably an easy walk in the park for him.